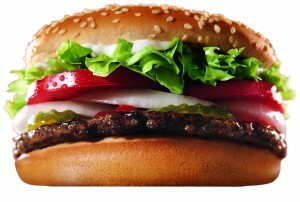 Home » Trending Now » Why is Hands Free Whopper trending? The iconic Burger King Whopper sandwich. Multitasking is always nice but this may be going too far. Do we really need to do all the things that were multitasked in this video while eating? I suppose in the fast world that we live in, there’s little time to spend eating anymore. There was no word by Burger King of a price tag on the hands free Whopper holder or if it’ll be making its debut in any other part of the world anytime soon.